Department of Environmental Protection Secretary Patrick McDonnell visited the Benton Foundry in Benton, Columbia County, Wednesday to celebrate the company’s full-facility energy audit using DEP grant funding, and the implementation of energy efficiency improvements to reduce energy usage, decrease air pollution, and save money. Secretary McDonnell was joined by representatives from the Benton Foundry and project partners from Northampton Community College, Ben Franklin Technology Partners, and PPL to discuss the company’s energy efficiency work and tour the facility. PPL representatives also delivered a ceremonial “check” to the Benton Foundry to represent $122,225 in qualifying PPL rebates earned by implementing the recommendations of the energy audit. 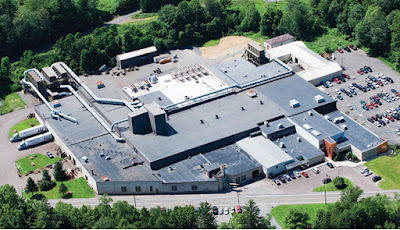 A full facility energy audit of the Benton Foundry was completed by the Emerging Technology Applications Center (ETAC) at Northampton Community College with the support of DEP grant funding, the Ben Franklin Technology Partners, and matching company dollars. Following the audit, the Benton Foundry implemented variable frequency drives for three bag houses and compressed air controls, resulting in a savings of 1,474,536 kilowatt hours per year. The reduction of energy usage significantly reduces the emissions of air pollutants and saves the Benton Foundry $89,800 per year. DEP has provided ongoing funding support for ETAC’s work to assist the Benton Foundry and other small and mid-sized businesses in their efforts to reduce energy consumption and emissions. DEP’s Air Quality Program has also provided plan approval for the Benton Foundry’s operations and oversees compliance with applicable air quality regulations. For more information, visit DEP’s Office of Pollution Prevention & Energy Assistance webpage.